In today’s day and age, we as the consumer have a myriad of choices. We also have the ability to choose companies and brands that do good and do right by their mission and products. One such company Shinola has popped onto the San Francisco scene and created quite a buzz with a gorgeous flagship filled with rose gold colored bikes, stand-out chic and functional watches, and an ever rotating pop-up shop of product from partner American designers. 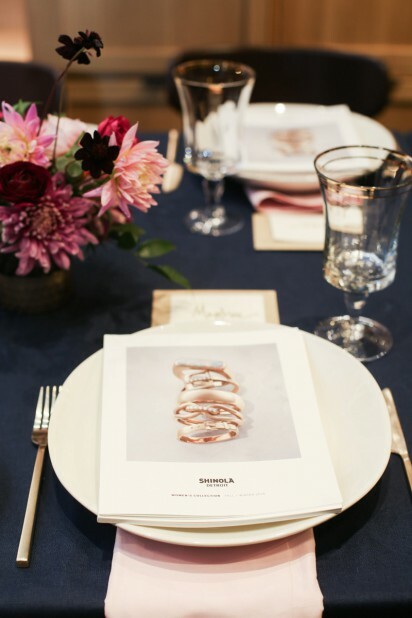 I was honored to host one of Shinola’s Broad Series evenings with women from our TPFW community around the topics of passion & invention and the “demyth” of life/ work balance. The evening brought out some of the most creative, passionate, and innovative women.